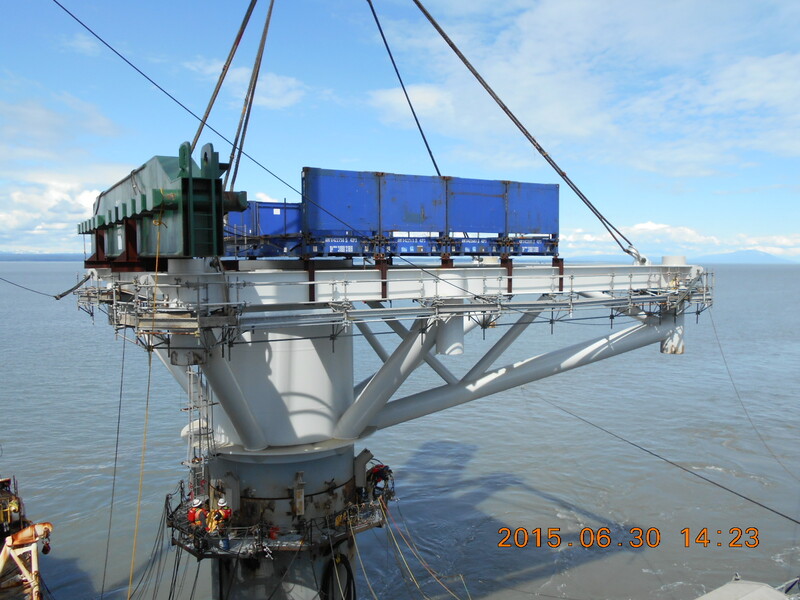 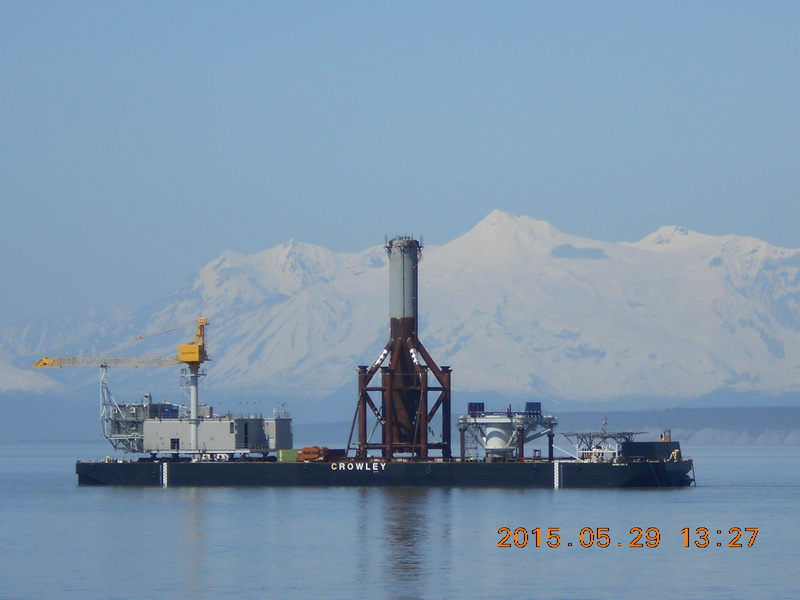 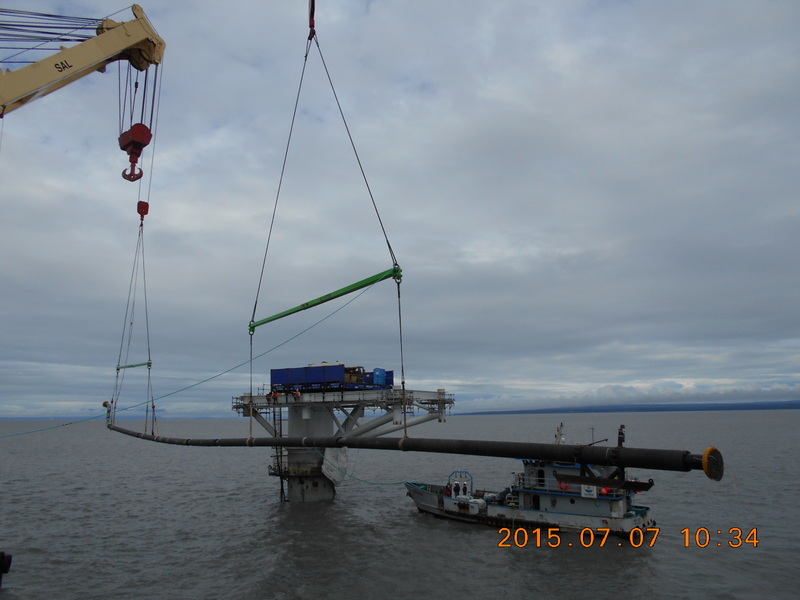 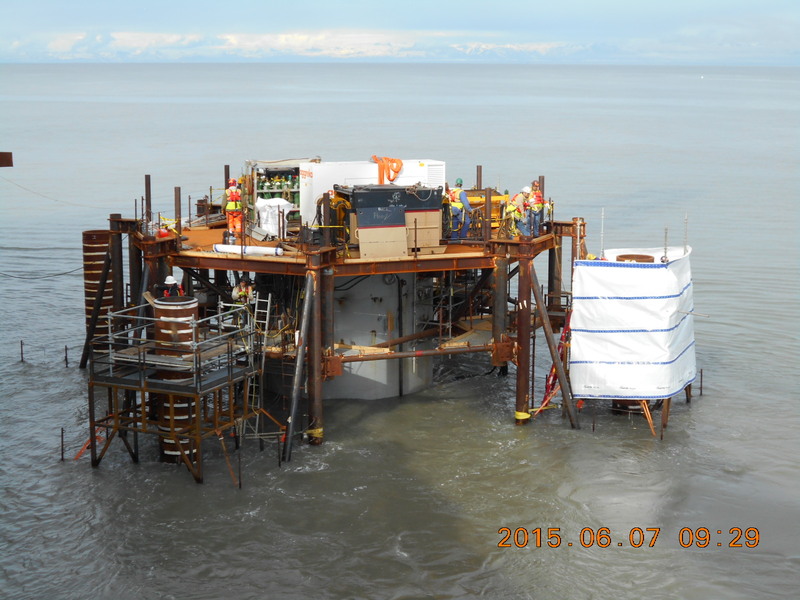 In late summer 2015, Crowley’s Marine Solutions team has successfully completed the installation of Furie’s Kitchen Lights Natural Gas Production Platform and underwater Pipeline in Cook Inlet, Alaska. 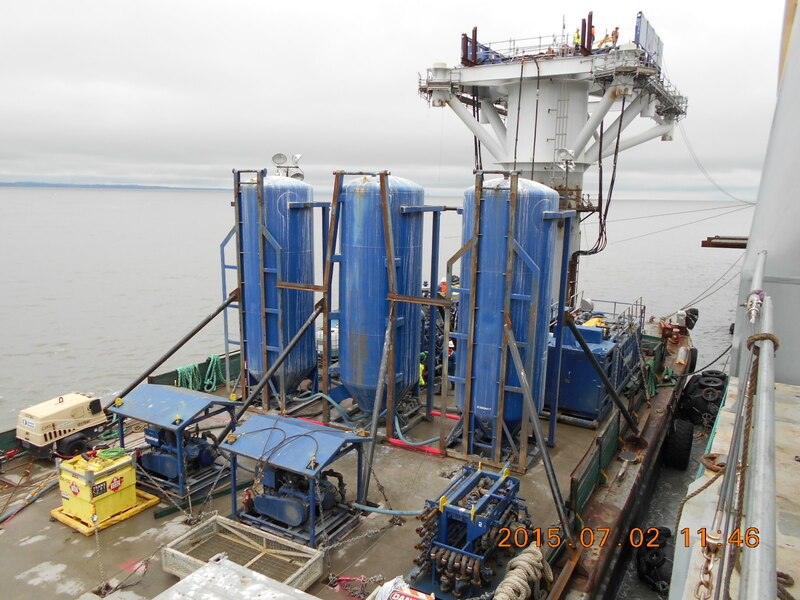 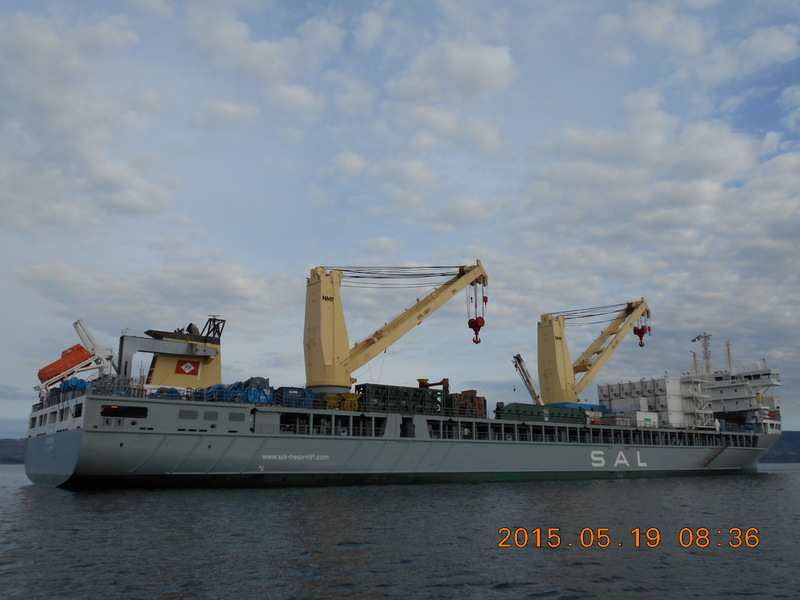 The Project was extremely challenging with a short weather window and difficulties with the harsh Arctic environment. 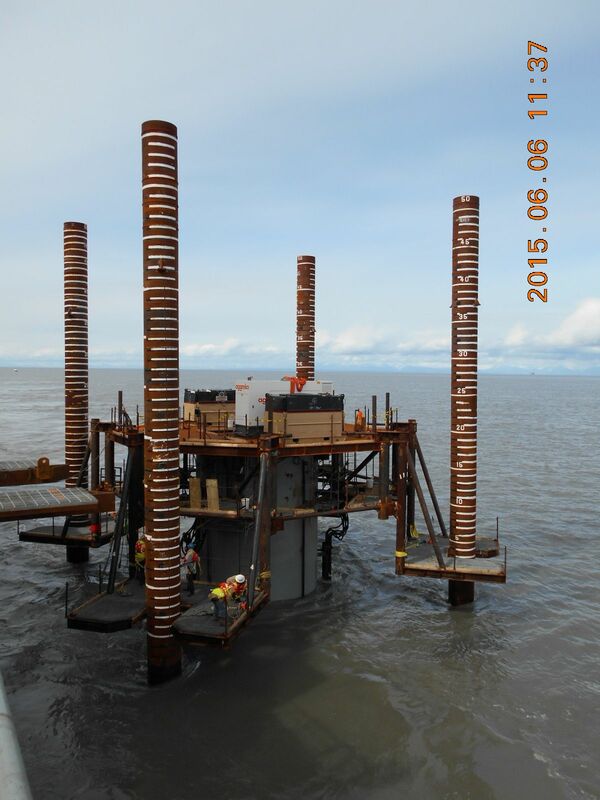 The tides in Cook Inlet changes by up to 35 feet every 6 hours causing extreme currents of 7 knots. 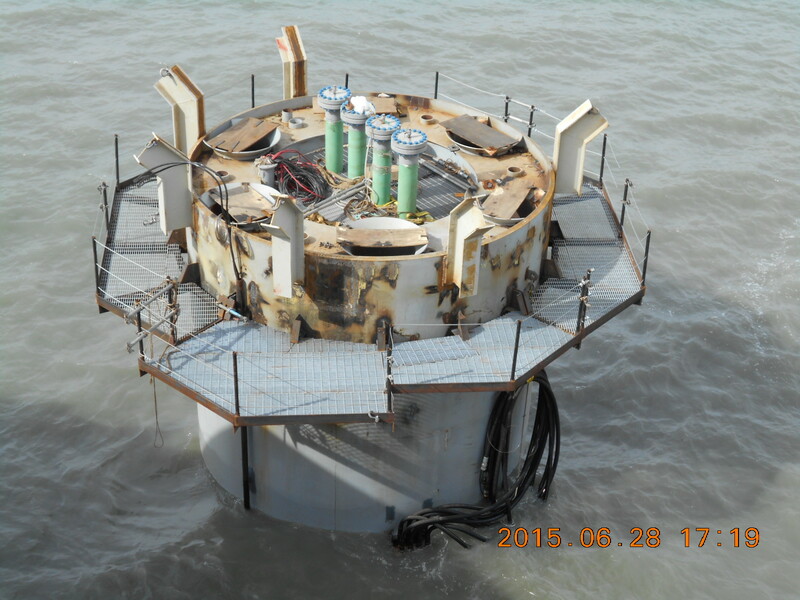 Those same fast-moving waters were saturated with glacial silt, which caused total “black-out” conditions for divers and eliminated the opportunity to use Remote Operated Vehicles (ROVs) for underwater operations and caused higher-than-normal wear and tear on equipment and added risks for workers. 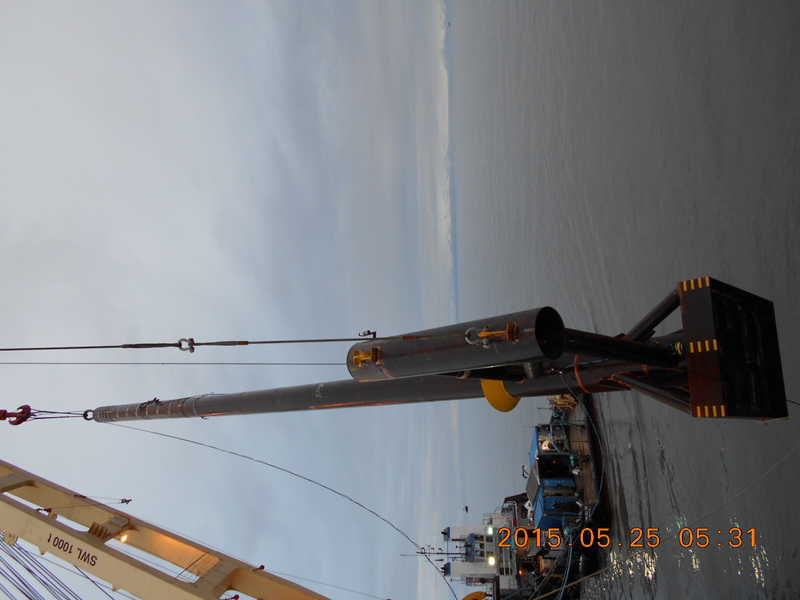 Furthermore, the sea floor in Cook Inlet has a hard bottom, uneven and littered with boulders up to six meters in diameter, which made the pile driving and pipelaying ever more challenging. 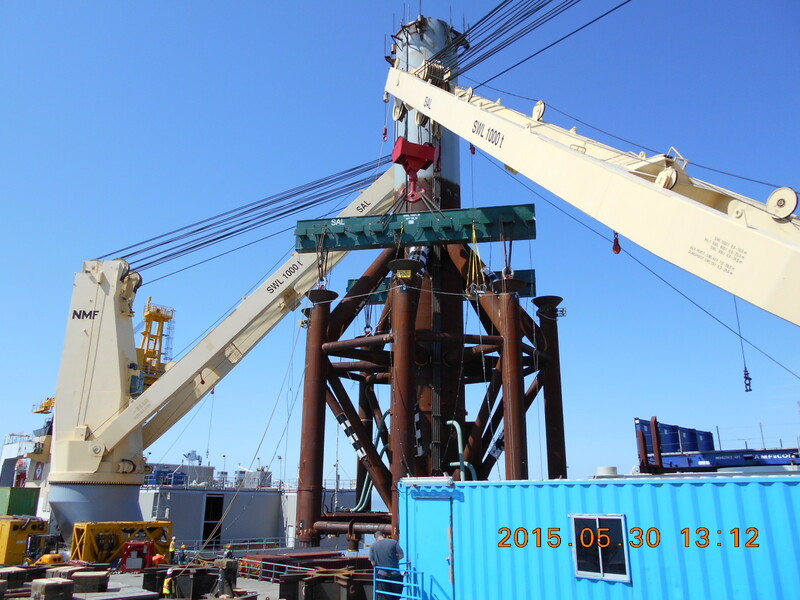 Installation of 1,200tons Monopod with 18ft dia external Caisson by crane tandem-lift to stabover the existing 30” Well Conductor utilizing Pile Bullet & King Pile methodology. 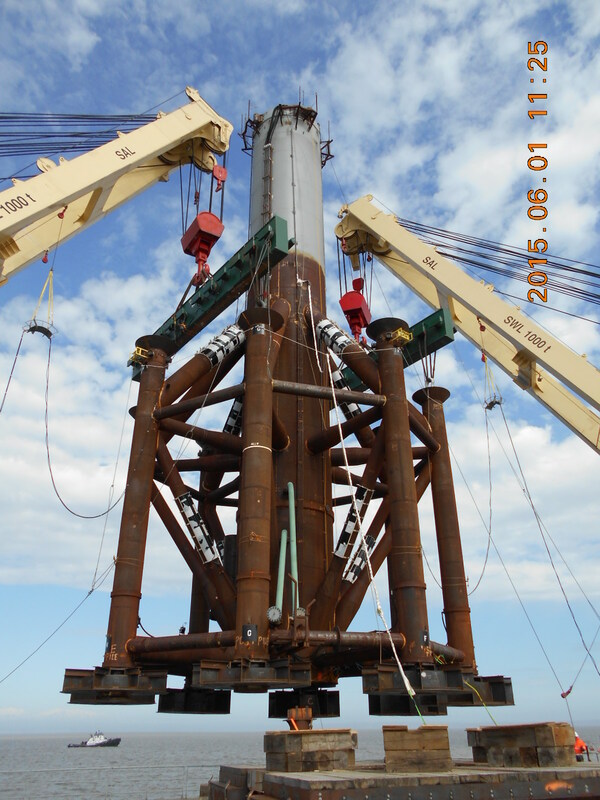 Installation of 42” dia x 8ea Skirt Piles (4-Sections each) utilizing Chaser Piles and surface Octagonal Pile Driving Template methodology, including Pile Sleeve Grouting. 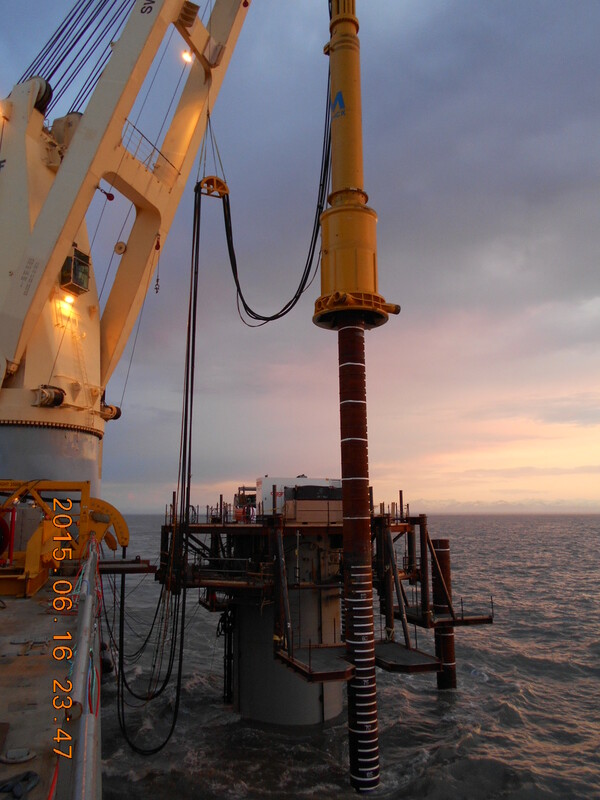 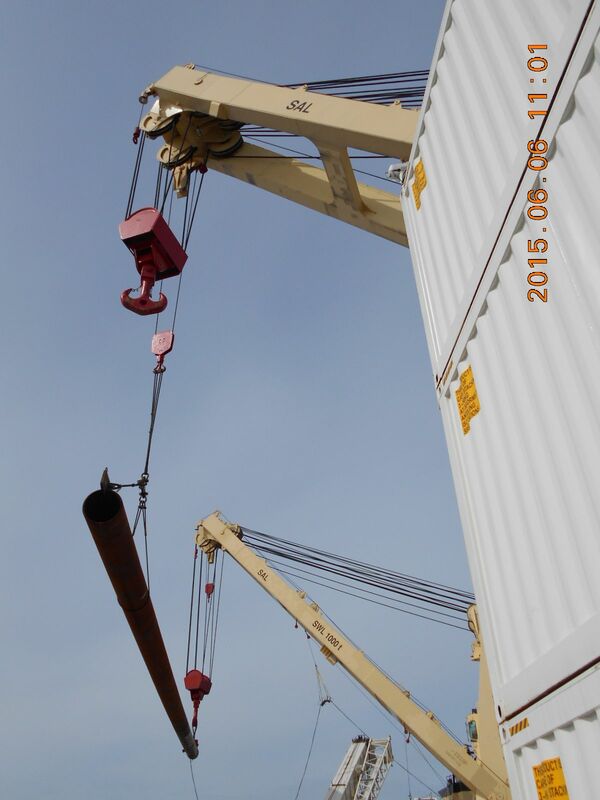 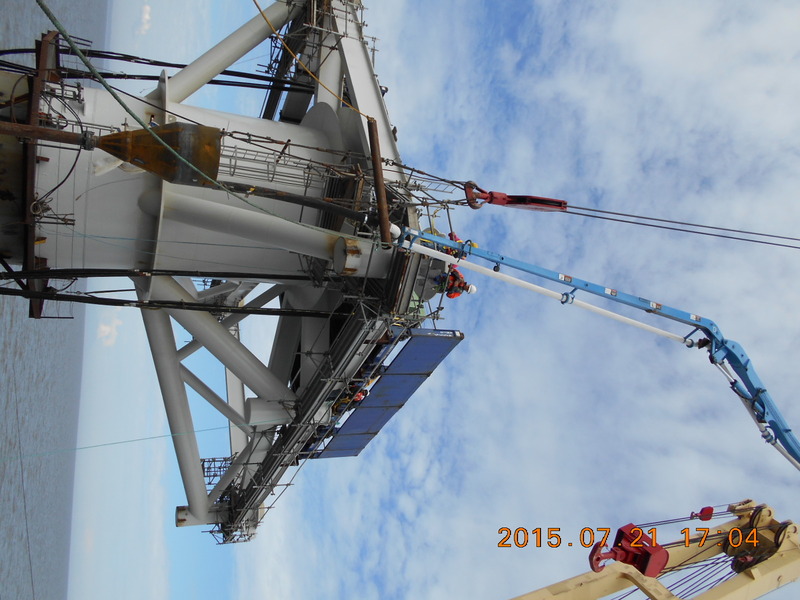 OCS was engaged by Crowley’s Marine Solutions for the following scope of works. 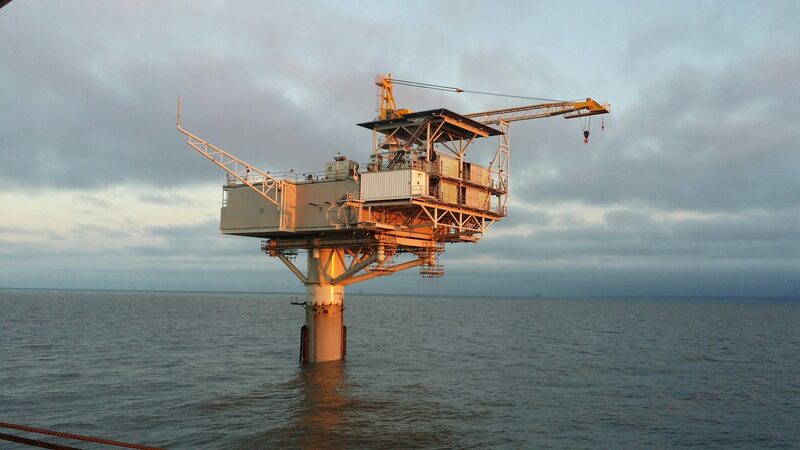 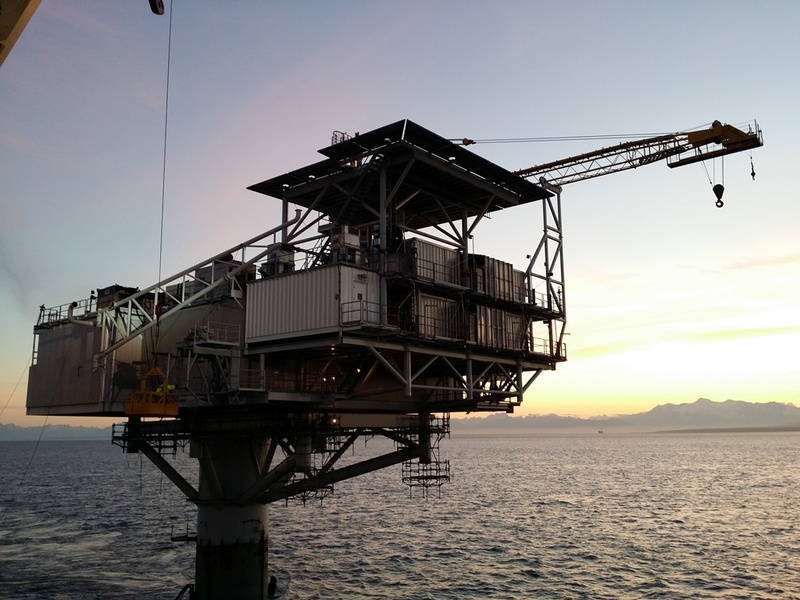 Provide Offshore Installation Personnel and Specialist to prepare necessary installation engineering, procedures & drawings, including managing the offshore execution at site.